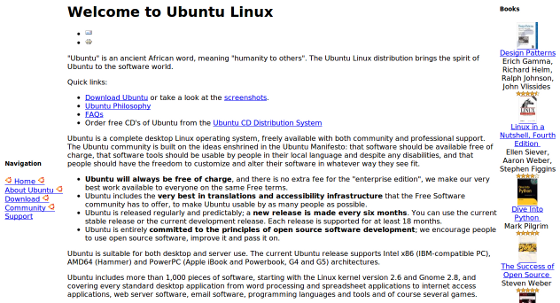 This is how some of the popular Linux distro websites looked like when they launched initially. Thanks to the archive.org for all the screenshots. 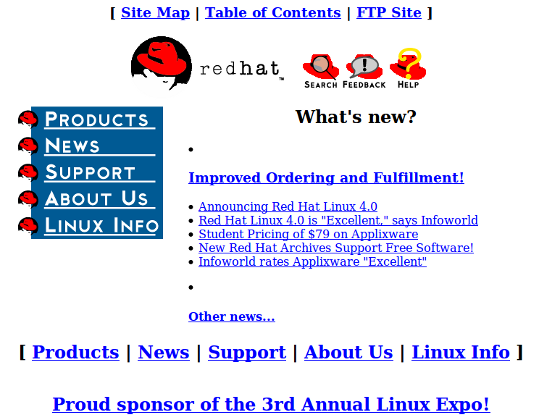 Redhat website looked pretty decent for a 1996 website. Which one of these websites did you like? I remember these so well. 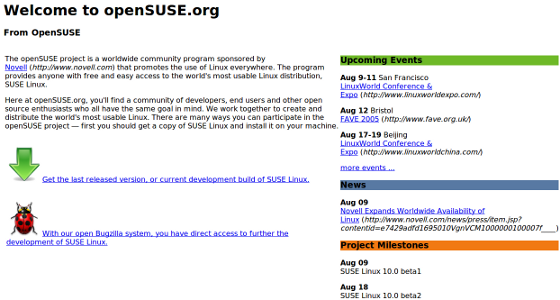 And to be honest, slackware.com hasn’t improved or changed much in the last 11 years. #10 clearly isn’t from 1998, because the Mandriva name change happened in, uh, 2005-2006 IIRC. The ‘News’ link at bottom left shows 2005-dated items. I liked the Mandriva one the best. Followed by Slackware, RedHat, Fedora, and Gentoo (they were all pretty close in my opinion). Centos looked too much like one of those Domain Parking sites to me. And the mandriva stock price is given in €. 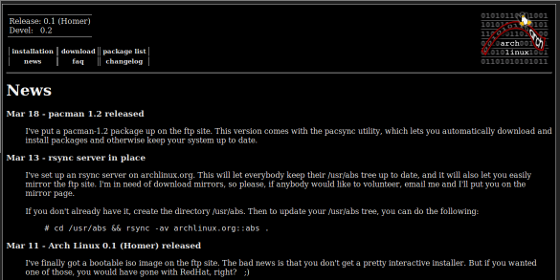 redhat’s first site is not known. (not archieved.) you know why? 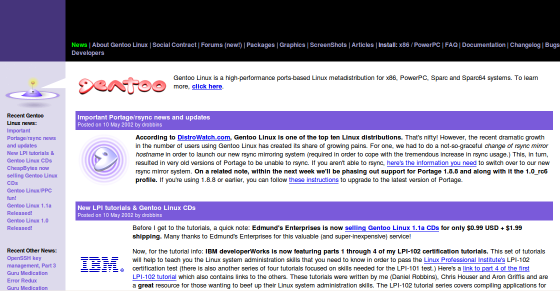 Besides Slackware, I noticed Gentoo’s hasn’t changed much either. Cool profiles, thanks. Mandriva was not released until 2005 so the date 1998 is a little wrong. 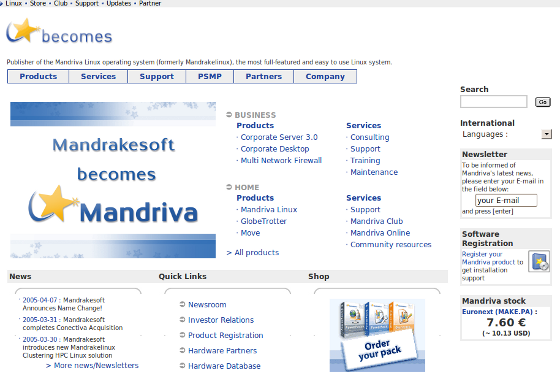 In 2005, MandrakeSoft acquired the assets of Lycoris, and purchased Conectiva. As a result of the forced name change, the name Mandriva was selected to reflect the combination of MandrakeSoft and Conectiva. Mate, when I saw your comment, I read the comment I was about to post. 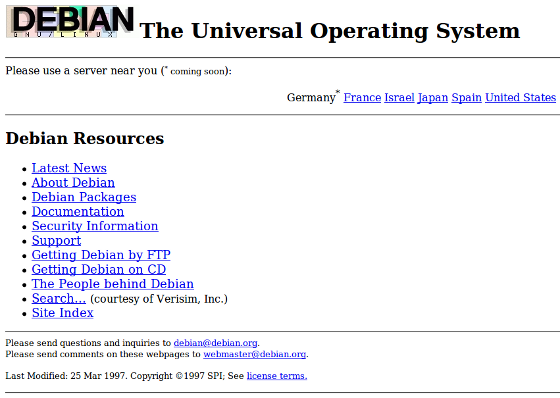 I liked Mandriva’s website the most, and, on CentOS, I was about to say it looked like a stock search webpage. 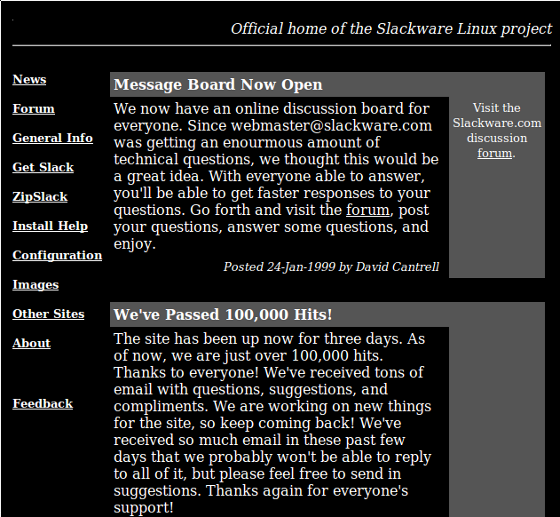 And there’s something geeky but strangely catchy about Slackware’s homepage layout I can’t help but love. Incredible.